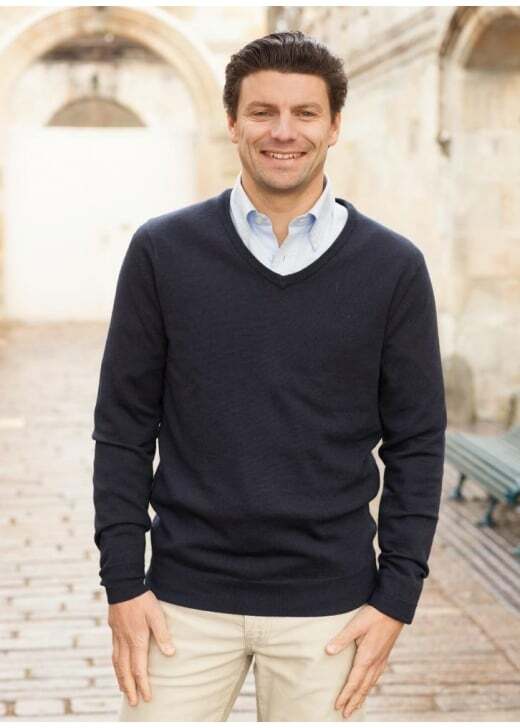 RM Williams' V-Neck Harris Sweater is the perfect men's knitwear piece for smartening up your everyday wardrobe. RM Williams' V-Neck Harris Sweater is the perfect men's knitwear piece for smartening up your everyday wardrobe. Created with an attractive v-neck style and luxurious Australian merino wool, the Harris is guaranteed to keep you cosy on chilly winter days.